Find here the map of the films of 22nd edition of PriMed. 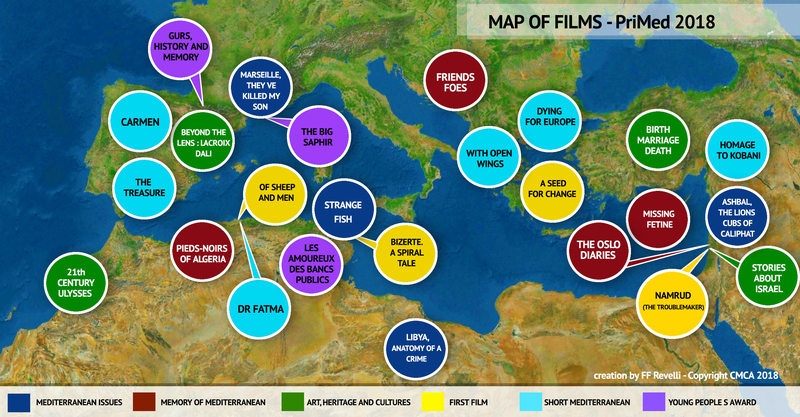 This map was developed on the basis of the locations affected by the topics of the 25 competing documentaries. 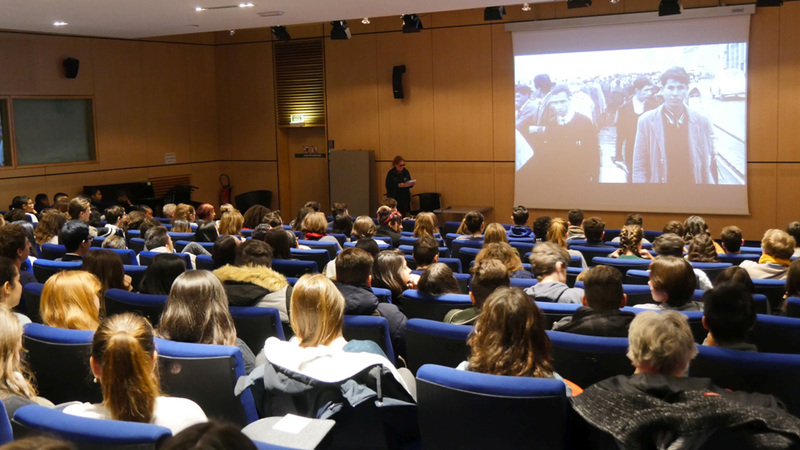 Among the Mediterranean countries concerned we have Spain with 4 films, France with 2 films, Bosnia and Herzegovina (1 film), Greece (3 films), Turkey (1 film), Cyprus (1 film), Israel / Palestine (3 films), Syria (2 films), Libya (1 films, Tunisia (3 films), Algeria (3 films) and Morocco (1 film).